In early 2016, Porsche is already continuing the excellent results of the past year. 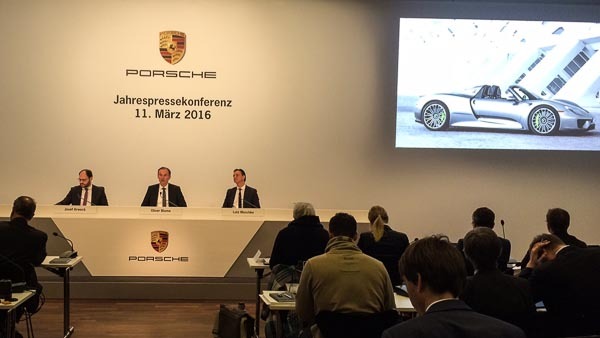 “Porsche is also in the current year on a successful course”, said Blume. Deliveries in the first two months of the year increased to more than 35,000 vehicles. This represents 14 per cent growth over the prior year. Along with its sporty SUVs, the Macan and Cayenne, hopes also rest on the 911 sports car icon, the new 718 Boxsterand 718 Cayman model line as well as the Panamera.